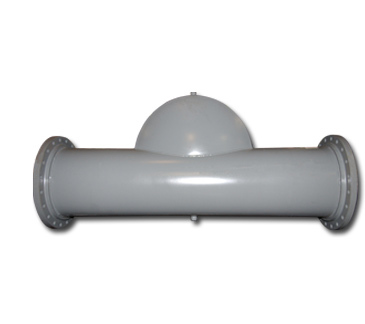 In-line Air Purgers are used for commercial and industrial hydronic systems, to effectively control and eliminate entrained air. Choose from nine models: AP-104, AP-105, AP-106, AP-108, AP-110, AP-112. AP-114, AP-116 and AP-118. Wessels’ AP-104 Series is constructed of cast iron. All other AP Series are constructed of fabricated steel. Designed with an embossed flow indicator arrow for proper installation.